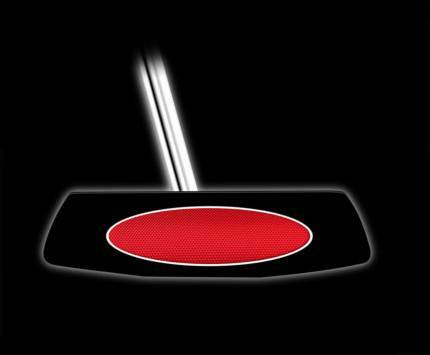 With the AT-92, Thomas Golf has achieved the most extreme MOI by combining an stainless steel body with the square weight bars placed on the perimeter of the putter's sweet spot. The weight bars are the first ever with flat tops and sides to further improve alignment of the putt. This AT-92 model is center-shafted, creating a balanced heel-to-toe face which provides greater stability during the stroke. 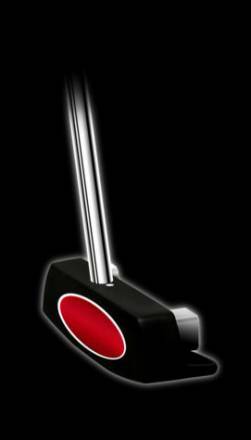 It features a machined face and high grade CNC-milled red aluminum striking plate insert for premium feel. Thomas Golf's putter alignment systems are the result of extensive studies in visual perception and application of expert design methods. 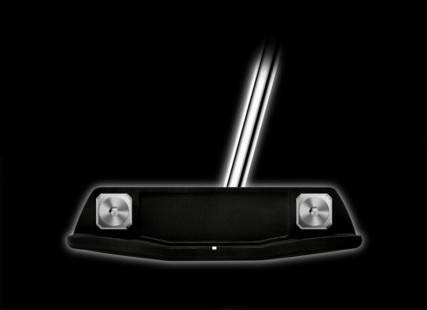 The wide channel and golf's first squared weight bars frame the ball and the 3-dimensional visualization provides excellent visualization and guidance for your putt. The channel works in synergy with the bi-level aiming indicator to ensure proper direction and that your head is correctly positionedover the golf ball. On the upper surface in front of the white directional line is a distinct white dot that aligns to let you know when your eye is directly over the ball.